Many industries and fields have their own jargon. Marketing is no different. To a new business owner, the terms can be somewhat overwhelming. Throw in acronyms, and it becomes even more difficult to decipher what’s being said. Even to a seasoned business owner, some online terms may seem foreign. Below is a run-down of some commonly used marketing acronyms, both on and offline. By reviewing, and becoming familiar with these, it can save you time as you plan and research your marketing strategies. 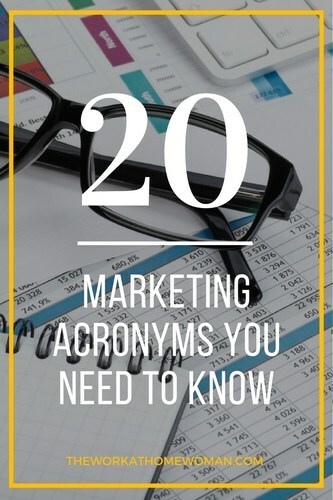 Bookmark this list of marketing acronyms and use it as a reference when you’re working on your marketing plan. B2B describes one business marketing or selling to another business. Many services and retail stores cater to other businesses as their customers. Many B2B transactions happen behind the scenes before a finished product is available to general consumers. B2C is more traditional business between retailer or service provider and consumer. B2C has grown to include services like online banking, auctions, and travel, not just typical retail transactions. A bounce rate can refer to a website bounce rate where someone visits your website but leaves before clicking on anything else. Or, it can refer to an email bounce rate, which refers to the emails which don’t actually reach an inbox. A high e-mail bounce rate indicates that you have many inaccurate e-mail addresses on your list. This is a U.S. law passed in 2003 that prohibits businesses from e-mailing folks without permission. This means you need to have an ‘unsubscribe’ option at the bottom of all of your e-mail communications, and that you should not add addresses to your list without permission. A CMS system is an application that makes it easier for non-web-developers to create and update a website. An example is a WordPress blog. This is a method some publishers use to charge for advertising space. Advertisers only pay when their ad is clicked, not just when it is shown. Advertisers are charged only when someone ‘takes action’ on the ad. Cost per lead takes a lot of different costs into consideration to determine how much it costs for your company to acquire a lead. It can include advertising dollars, marketing collateral creation and web hosting fees, among other costs. CPM is another method of charging for advertising. In this case, the cost is determined per thousand impressions (M is the Roman numeral for thousand). Advertisers are charged according to how many times their advertisement is seen, not how many times it is clicked. A call to action encourages your visitors to take an action. It is a critical component to transitioning browsers to buyers. It can be a link you want them to click, a download you want them to request, a newsletter you want them to subscribe to, a coupon you want them to use, or something else that allows them to engage with your business further. This is a number calculated by how many people see a link and then click on it. Click-Through Rates are utilized when measuring the success of an advertisement or an e-mail campaign. HTML is a set of tags, rules, and code that is used to ‘write’ web pages. It describes the structure, content, text, objects, and images on a page. Most web software and hosts translate information into HTML for users. Same as CPC, this is a method some publishers use to charge for advertising space. Advertisers only pay when their ad is clicked, not just when it is shown. Advertisers are charged only when someone ‘takes action’ on the ad. Page rank is an algorithm used by Google that assigns a numerical weighting (0-10) to a website that indicates its importance. It is roughly determined by the number of pages offering inbound links to a site, and the Page Rank of those providing the links. The higher the Page Rank, the more important the site is considered by Google. PR aims to get your business media attention for free. It’s a strategy to present an aspect of your business that’s newsworthy or interesting in a way that doesn’t seem like direct sales tactics. How much money are you making in comparison to how much you’ve spent? 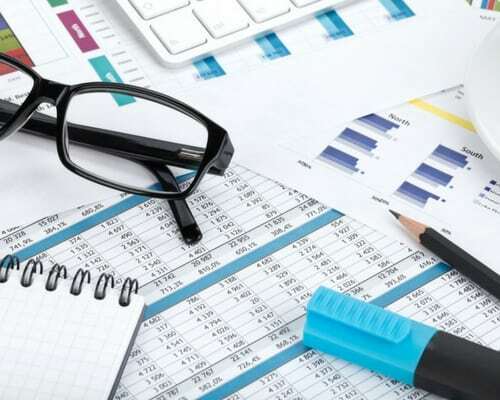 By tracking the amount of income generated then subtracting the money spent to advertise a specific promotion, you can determine your return on investment. It is especially important that you keep records for the planning of future advertising campaigns. RSS feeds allow publishers to syndicate their content automatically and subscribers to get timely updates from their favorite sites, blogs, and news outlets. Subscribers get automatic updates to the feeds they have subscribed to when new content is published online. SaaS is software, hosted by another company, which works by storing information in the cloud. Examples might include Dropbox, Google Apps, or Salesforce. This is the process of optimizing your web pages so that they appear higher in search engine results. To increase SEO web developers often rework content to include specific keywords and also increasing the number of backlinks or inbound links to a site. Social Media offers platforms to post text, videos, pictures, etc. in the hopes of reaching thousands. These platforms can be used personally as well as professionally and allow for organic traffic as well as paid posts. Some examples include Facebook, Twitter, Instagram, and Pinterest. Social media marketing utilizes the social media platforms as a way to promote their businesses. They can use them to network, post advertisements, spread the word about testimonials, etc. What marketing acronyms would you add to this list? Originally published on September 8, 2010. Content updated on August 9, 2017. Dawn Berryman is the founder of MarketMommy.com and Market Mommy: The Blog, online marketing resources for mom entrepreneurs. Market Mommy shows moms how and where to market their businesses. She holds a B.A. from Indiana University and has worked in the marketing/communications field for more than 8 years. She resides in rural Ohio with her husband and two young children. For more information, please see: Market Mommy. Great list of acronyms, it’s easy to forget some of these no matter how long we’ve been blogging. Thanks for taking the time to put them together with us. I’ll be sure to share them as I know that they can help other bloggers. Hi Susan, Glad you enjoyed the roundup of marketing acronyms! Thanks for spreading the word and stopping by! Very useful list. Thanks for the refresher, especially the RSS part! Glad you enjoyed the list, Helen. I am a new blogger. Struggling with understanding how traffic works. I am glad I came across this post in your newsletter. Man! I had no idea what CAN-SPAM was. So much to learn. Thanks Holly. Glad you enjoyed Dawn’s post, Vidya! Good luck on your blogging journey! Hi holly thanks so much for the refresher, I think this is a great idea for a blog post. Thanks for the recap! Hi Brian, So glad you enjoyed the article! Thanks for stopping by! How are things over at Blog Engage? This refresher was helpful! Thank you!